Hello everyone, I am back with a brand new interview episodes on Talkandtalkers Interview Series. This is number 9th interview taken by me on my interview series. Today my guest is none other than Jitendra Vaswani. He is blogging in his blog BloggersIdeas. I knew that, he is very busy guy with his blogging. Thanks for spending his valuable time with us. Hi Taposh, I am JitendraVaswani from Noida. Currently I am a blogger and online marketer by profession. I am working in a private company in Noida. I am handling company’s social media, SEO& blogging. I am working on startup and very much busy with work. After my office, I focus on my work & blog. When I started blogging I was totally unaware of the blogging market in India, I just started blogging due to one of my good friend told me that you have good knowledge of SEO, so you can do good blogging, so from their blogging journey begins. I took a domain August 2014 and started working on my blog passionately. Soon I started enjoying blogging and I started to experiment on my blog. I build relationship with many bloggers and ask them for feedback for my blog. Some pro bloggers really help me out. So that’s how my blogging journey begins. Yes Page Rank is a sign of authority. The number of authority backlinks you have for your domain,google trusts you more. So keep building high quality backlinks. No traffic doesn’t depend on page rank, to get get good traffic you need to make backlinks and share your content on various social media channels. Syndicate your content very well in order to get traffic. Build relationship with your readers, offer them some freebies so they can come back to your blog regularly. Have a neat and clean website design. Can you tell me, how PageRankaffectserp? Page Rank doesn’t affect SERP. It depends on the quality of content your landing page is offering. If your quality of the content is very low, then you will be not be able to rank higher on 1st of Google. 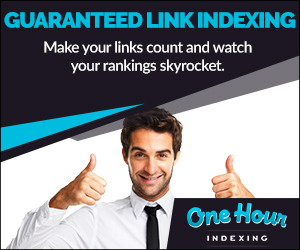 In order to rank, you need make more backlinks of your domain, expand your backlinks resources. Get backlinks from credible resources and share your content regularly on social media sites, this will help you to rank higher on SERP. What is your best list for social media marketing? My best social media strategy is keep sharing good content on social media, because social media is next big thing in traffic generation, if your brand don’t have good social media presence, then it is difficult to rank on Google. So I share my content on facebook, G+, twitter, Reddit,Stumbleupon,Pinterest,Tumblr & many other social media sites. How you use social media for getting traffic? I have describe my strategy in above question. Keep sharing your content on social media. Make good relationship with your bloggers this will help you to get referral traffic from targeted bloggers. Never get involve yourself into controversies. Stay away from fighting , just keep learning & growing. I monetize my blog through sponsored posts, paid articles posting & using affiliate marketing products. I promote affiliate product through social media channels like facebook, twitter & G+. I don’t use adsense on my blog. There are many other adsense alternatives in the market. Recently I have seen good monetization programs like Qadabra, Revenuehits&Viglinks. Can you tell me, how many traffic is best for good earning from Google AdSense? If you wany to make good money from google adsense then you need to have high traffic from US, UK & other foreign countries. Having traffic from India is not at all sufficient to make money. So if you need good adsense earning then have traffic US & other countries. Then money will fall in your pit. My current Traffic of blog is 500+ daily visitors. I don’t share my earning stats till now. When I will became something in blogging industry then I will share my income stats for sure. Currently I am beginner in blogging, I am not pro blogger. I am continuous learner. Yes I would like to share when I earn 650$ from one of my client , I was really happy to see money in my pit. I realize through blog money can be made easily if you are working regularly on your blog. So if you updating your blog regularly and having great content, then you will make lot of money. I saw your blog. It is nice but try to customize it more. Have good website design and have some CTA buttons across the website. But still you have neat & clean design. I would like to advice newbie’s that they should learn from bloggers and keep experimenting on their blogs. Without doing any testing you cannot be successful. Read good blogs continuously to grow your knowledge.